It kind of looks like an advanced Glass Bottom boat; going a bit deeper and adding glass on the sides. 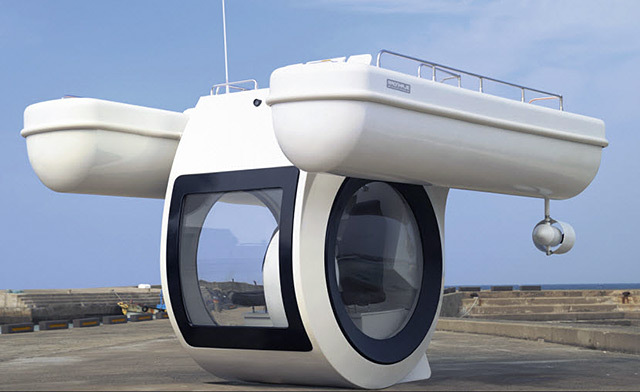 "Hop into this Ego Compact Semi Submarine, and without any extensive training you can be on your way to exploring the deep blue sea in no time. Why is this called a semi-submarine? The entire boat is not submerged, but it’s more like a pontoon boat with a transparent waterproof compartment hanging from its middle."